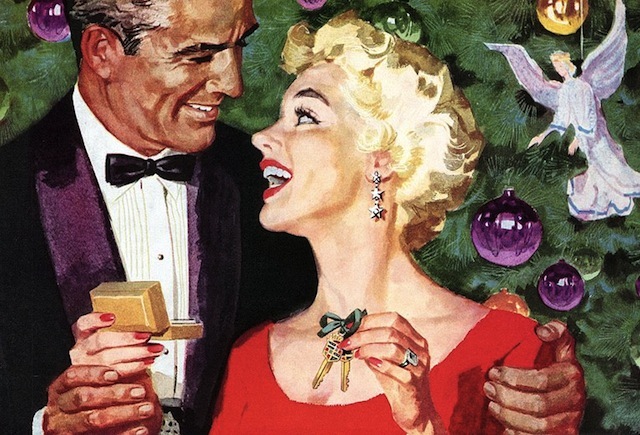 It is never too late to indulge in a present for oneself. However, if you really must buy for another, here are some of our favourite gifts for the Christmas season…and if you’re looking for something to do, see our seasonal soirée recommendations. Vintages are usually regarded the domain of vintners and masters of the grape, but if you nose the latest expressions from Balblair you will see it’s not for vines alone. Balblair is the only single malt that releases its whiskies in vintages as opposed the age of the whisky, they are chosen and named by the year they were laid down in cask, and are only released when at the peak of perfection. So take your pick from from the 1983 (£200) or the 1990 (£84.99). The older vintage has complex aromas, from warm scents of butterscotch and toffee to fragrant vanilla. These flavours come from years of maturation in American oak ex-bourbon barrels, creating a taste that’s both sweet and spicy, with fresh fruits and honey that combine to create a long, warming and full-bodied finish. The younger upstart, perfect for sharing with special friends, is similarly matured in American oak ex-bourbon casks, but with the addition of Spanish oak ex-sherry butts. This creates a medley of spicy and sweet aromas that are punctuated with notes of raisins, toffee and honey. Look out for zesty fruits whilst you enjoy a smooth and long lasting finish. It’s Christmas, it has to be scotch. And these are a fine seasonal pair. If you thought croquet sets came in one form, you’d be wrong. 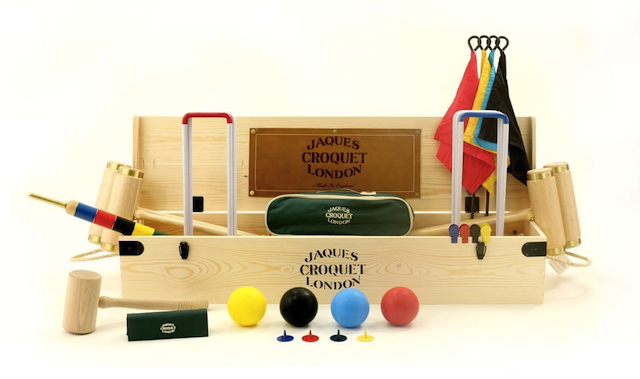 Jaques of London create an eclectic range, from the original Croquet Association approved issue to the Trafalgar in its handmade finished box to top of the range Sandringham and even a limited edition set commissioned by The Goring Hotel, of which only 50 were made. Eight generations of the Jaques family have steered the company, and Joe Jaques is currently at the helm. Less well-known is that John Jaques III married Lewis Carroll’s grandniece, Irene Dodgson, resulting in the famous croquet game in Alice in Wonderland. Ranging in price from £169 to £3699 for the Sandringham, Jaques have sets to suit all standards of enthusiast from their website. 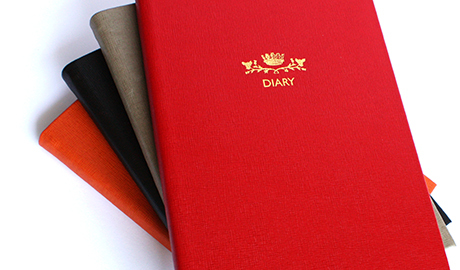 Featuring over 80 pages of aide-memoires for the British Social Season and etiquette, the A5-sized, week-to-view 2014 Town & Country Diary is available in four colours; Chelsea Red, Hardwick Black, Petworth Grey and Parisian Orange, presented wrapped in gold tissue in a red Debrett’s box. With a supple leather binding, two grosgrain indexing ribbons and 90gsm, high opacity smooth cream paper, the Town & Country Diary is the perfect gift for that social butterfly who is never seen without the appropriate hat or tweed jacket. Available from Debrett’s and all good stockists, from £95. Although we’re usually more interested in the contents of a hipflask, it has to be said the exterior of the deliciously crafted bottle by Hannah Martin has us rethinking this stand. 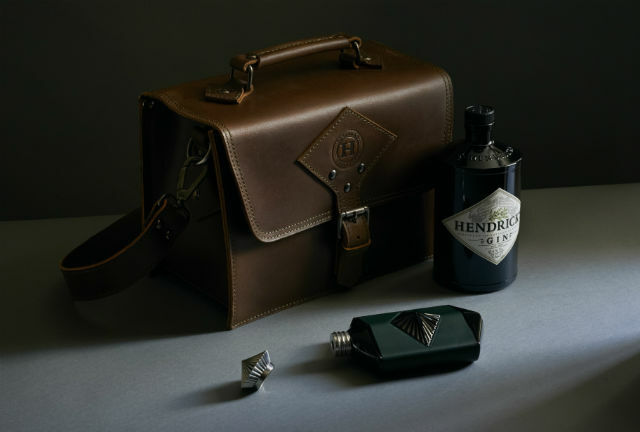 Presented in a handmade leather travelling bag with a bottle of Hendrick’s Gin and a bespoke silk and cashmere scarf from Scottish tailors Walker Slater, it is certainly a Christmas gift for uniquely stylish men and women the world over. Combining the contemporary with the traditional, each limited edition glass vessel is individually hand-blown and diamond-embossed by artisans in Norfolk, and then encased in green leather. Might we suggest you don’t indulge too deeply before replacing it carefully back into its case. Hendrick’s Gin and fine jewellery designer Hannah Martin’s luxury limited-edition hip flask is available exclusively at Harrods this Christmas. Art. It is the gift that keeps on giving. And original art is one of those gifts that will never end up discarded and dusty in a drawer nor the giver forgotten. In the wake of the RA’s ‘Australia’ show, one of the country’s brightest new talents exhibited alongside in London’s St James’s, is Josh Robbins. 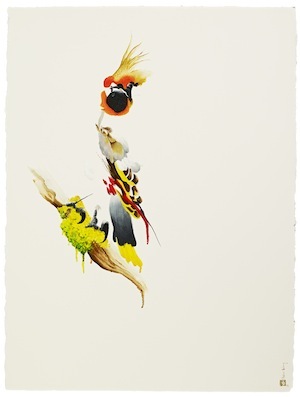 His oil on paper birds are beautiful, colourful and captivating. Drawn ‘blind’, that is to say without looking at the paper, they’re given a unique distortion, making them all the more alluring. £750 float-mounted in a beautiful oak frame (or £600 unframed) and available exclusively through COMODAA, this is an opportunity to give a unique and personal gift this Christmas. The remarkable ETX90 is designed to be the ideal, ultra-portable telescope, marrying Meade’s unsurpassed optics with industry-leading electronics to deliver a truly exceptional viewing experience. Meade’s unmatched Maksutov-Cassegrain optics provides high resolution and contrast for more detail and the ability to see fainter objects than with comparable systems. Combine that with the easiest alignment system available and the Autostar controller, and you have simple, immediate access to over 30,000 celestial objects all at the push of a button. And with the ETX’s classic styling and advanced engineering, your telescope is ready for a lifetime of use. Meade’s ETX80 delivers excellent light-gathering for increased image brightness and greater detail. Moon craters by the hundreds, cloud belts on Jupiter, and Saturn’s rings are just the beginning of what can be seen with this telescope. Available from all good stockists, from £469. For more information, visit the website. In the maelstrom of cookbooks that flood the shelves at Christmas time, there’s one we’ve identified that stands beyond the others, embracing a heady mix of travel, history and culinary adventure. The Grand Trunk Road is one of South Asia’s oldest and longest roads, running from Bengal, across north India, into Peshawar in Pakistan up to Afghanistan. 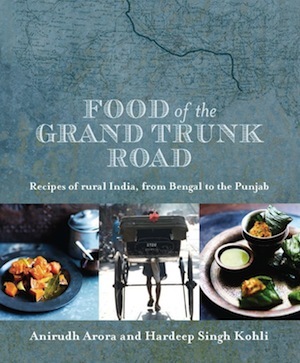 “The Food of the Grand Trunk Road” is a fascinating look at the food, culture and traditions that have sprung up along this route, promising recipes that reflect the eating traditions of the real India. Following Hardeep Singh Kohli’s travels along this age-old route with recipes provided by Anirudh Arora, head chef at Arb favourite Moti Mahal in London. From the seductive barbecued flavours of the Punjab to the sublime dals and vegetarian food of Lucknow, this will be an eye-opening look at Indian food. Available at amazon and through Moti Mahal direct where, incidentally, it comes with a dedicated spice tin to get you started. At the Goring Hotel’s Christmas party a guided tour gave us an insight into their annual Christmas tree campaign, where selected partners created trees for their suites. In suite 34 we were introduced to Honeyjam, an independent toy shop from Notting Hill specialising in toys traditional, collectible and magical. Founded and created by two life long friends, Jasmine Guinness and Honey Bowdrey, Honeyjam is inspired by childhood memories when toyshops were crammed to bursting with the most marvellous and desirable things. 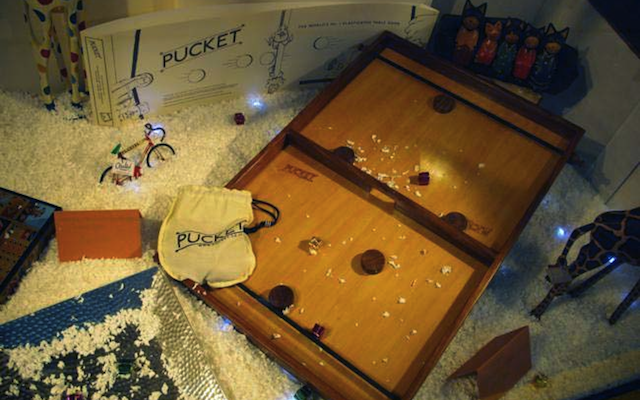 One such thing is Pucket – no, not the island in Thailand – a wooden tabletop game where players shoot their pucks across a board with elasticated catapults. It’s simple, exciting and utterly addictive. Pucket is available in store and online from Honeyjam, 2 Blenheim Crescent, London W11 1NN. For more information and details of their other fantastic childhood memories, visit the website. If we’re talking about The Goring, and you’ve seen the Arb’s film, then this is a further revelation. In the dining room of the royal suite is a Christmas tree adorned with gifts wrapped in silk. The tree was impressive enough but what struck us more was what was in a gift box on the sideboard, very understated and ignored by most of the guests; a pair of pyjamas. The most exquisite, gently radiant, delicately tactile silk pyjamas ever loomed. These are the product of Olivia von Halle, a silksmith beyond merit. Halle’s patterns aside – they are tasteful, elegant and without ostentation – the silk is such that if the Emperor’s tailors had made him clothes he really he couldn’t feel, they’d make him these. What’s more they can be monogrammed, should you wish. Olivia von Halle’s pyjamas are available from her website and in Selfridges. Named as one of Time magazine’s Top 50 inventions for 2010, the Martin Jetpack is the world’s first practical jetpack, set to revolutionise the industries of aviation, recreation and transportation…and superheroism. Able to be flown by a pilot or via remote control, this inspirational and versatile product continues to attract strong interest from potential customers and investors worldwide. 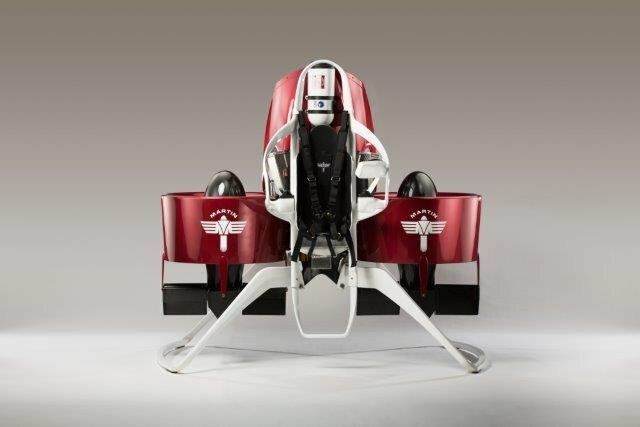 Based in New Zealand, Martin Aircraft Company is currently focusing on developing the Martin Jetpack for use as a first responder vehicle and a heavy lift unmanned air vehicle. Following the successful introduction of the Jetpack into the first responder community, the company will work on developing a jetpack for leisure and personal use. While not available just yet, a fee of $5,000 USD will get you onto the rapidly growing waiting list. Available from the Martin Aircraft Company, for under $150,000 USD. 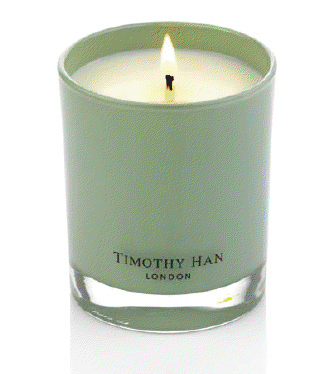 A former assistant to John Galliano, Han created his first scented candle nearly ten years ago. “I had read an article about how bad candles were for your health,” he says. “At the time they all contained petroleum derivatives which are quite toxic and no one was making scented candles that didn’t. So I thought surely I can make a cleaner burning candle myself.” From handcrafting candles for himself and close friends, Han’s candles are now the definitive stocking filler, with scents including Oakmoss & Vetiver, Tobacco & Jasmine, his Lemongrass, Marjoram and Lavender made the coveted Daily Telegraph’s Top Designer Candle this year. See the full range and order from his online shop. If you needed any more convincing, look for our exclusive interview with Han later this week.